Well here we are again, and we’ve passed the closing date of the inaugural John Diamond Challenge. If you recall, I asked you to find any example of What Doctors Don’t Tell You withdrawing or correcting any claim they’ve made. I did this in honour of John Diamond, a brilliant and much-missed writer. The concept of correction is an important one in science, particularly for a publication that prides itself on being at the, ah, cutting edge of medical science. It’s simply not plausible that they could have gone all these years without ever once getting anything wrong, and identifying and correcting your mistakes is how science progresses. The entries are all in, I’ve counted them – twice – and there are none. Not a single example. Hands up who was surprised. 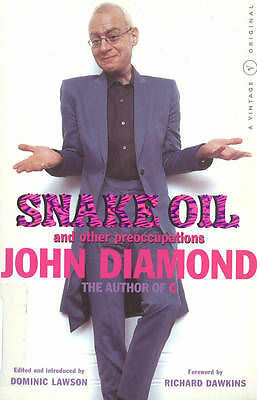 So as I threatened I would, I’m going to buy a copy of John Diamond’s Snake Oil and send it to WDDTY’s editors as an example of what real journalism looks like. I was originally going to keep posing these challenges and keep sending copies of Snake Oil to WDDTY’s editors every time we failed to find a winner. But the thought of sending all those copies of a really good book into woo oblivion was too much to bear. Also, I had visions of it getting more and more rare and expensive, until booksellers hoarded their few remaining copies like Gutenberg Bibles. 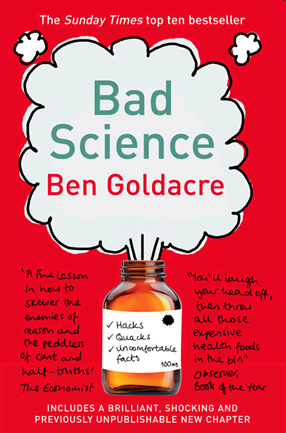 So I’ve decided to set another task, and this time around to offer as a prize a copy of Bad Science by Ben Goldacre. Again, it’ll be the secondest-handiest copy I can find on Amazon or eBay, but you won’t care because I confidently predict you won’t win this time either. Here’s your challenge. Find for me a single instance of WDDTY clearly stating that, on balance of risks and benefits, any individual (genuine medical) vaccination does more good than harm.